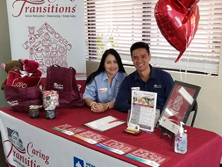 If you are looking for information on the Caring Transitions franchise business opportunity, Caring Transition franchises or Caring Transitions franchising, then you have come to the right place. 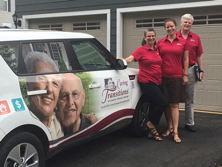 As a Caring Transitions franchisee you can build a highly profitable, home-based service business and enjoy the personal satisfaction of helping others through life's inevitable and often stressful situations. As Baby Boomers enter retirement and older adults encounter lifestyle changes, they're creating a huge, fast-growing market filled with high growth potential - and it's just waiting for you! Our recession-resistant business is structured with 6 distinct profit centers that can keep you busy year-round. Have the fun, freedom, and financial security you've always dreamed of and gain the satisfaction of knowing you're helping your clients relocate, downsize, or liquidate an entire household. If you're wondering if relevant experience is necessary to be a Caring Transitions owner, don't worry. We'll teach you everything you need to know. No technical or marketing experience is necessary. Our extensive training and support, top-notch marketing staff, and a network of strategic alliances and referral sources, make it easy for you to focus on expanding your business and increasing your income. Caring Transitions was created and developed with an understanding of life's complex and unexpected changes. If you have the passion to succeed, the desire to help others, and the willingness to use our proven system, we'll teach you everything else you need to know. Our professionally produced marketing materials, proprietary software, and a state-of-the-art operating system will help you grow your business quickly and profitably. 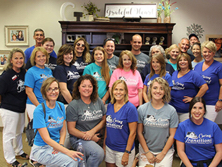 Caring Transitions is backed by an experienced management team led by one of America's top franchisors. In 2009, Caring Transitions was named a "Top 50" new franchise by Entrepreneur magazine and a VetFran Featured Franchise by Vetrepreneur. Don't miss the opportunity to own one of the most advanced, proven franchises in existence today. As a Caring Transitions franchisee, you can enjoy the income, lifestyle and freedom you've always wanted.